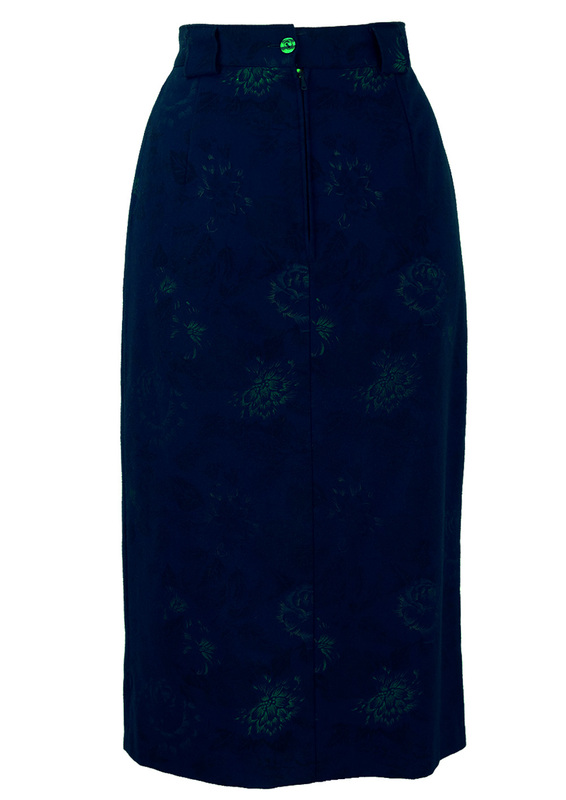 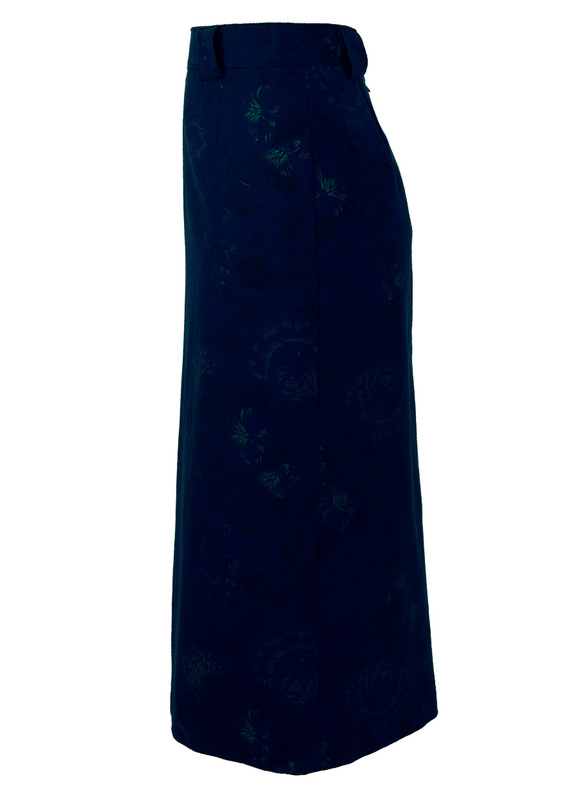 Electric blue midi length pencil skirt with a striking floral pattern in colourways of turquoise, grey and blue. 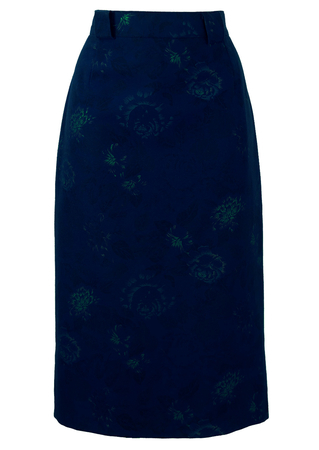 The pattern continues with subtle undertones of black floral shapes giving added optical depth! The skirt is lined and although there is no fabric label, it has a woollen feel to it.